What Lisa's Clients are Saying! "We're so appreciating you for managing the sale of our beloved Barnaby Woods home. From the start you inspired confidence. You're creative, pragmatic, wise, and well-organized. We imagine your enthusiasm for our home and Barnaby Woods did a lot to sell it in a blink. I couldn't imagine who would come along and buy a house in December. Fortunately, we trusted you and your fine tuned instincts." "I appreciate everything you did to make selling my condo such a breeze. I am pleased it sold so quickly and that wouldn’t have happened without your help prepping the place!" "Lisa came highly recommended to us as we embarked on relocating from New York to Maryland. As we had no idea where exactly we wanted to settle, Lisa became our beacon and presented many properties to us over the next several months. We couldn’t have been more pleased. Lisa presented herself to us in the highest professional way. She was punctual, polite and very aware of our needs which proved to us that she was listening. Lisa did an incredible job keeping us informed every step of the way which meant no surprises and a quick easy closing on the property!" Lisa Resch, originally from Ohio, has called Washington DC home for more than 25 years, 19 of those years spent lovingly renovating her 1913 home in the Chevy Chase, D.C. neighborhood with her husband and two children. She brings more than 20 years of communications and marketing skills to Compass, many of those years working in the new homebuilding industry with the National Assoc. of Home Builder’s flagship Builder Magazine and the EPA’s Energy Star Homes Program. 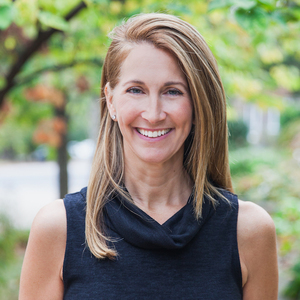 Lisa is an active and committed resident of Chevy Chase, D.C., volunteering and supporting Lafayette Elementary (previous president of the Home and School Association) and Alice Deal middle school, Cap City Little League, St. Paul’s Shelter, and the Avalon Theatre to name just a few. Lisa is known for her organization skills, attention to detail and her ability to creatively and efficiently solve problems and bring people together. She is proud to be part of the award-winning Dana Rice Group where she can guide clients in one of their most personal and important decisions.